Penetration testing or commonly known as pen testing is another important way of testing your company’s preparedness for a cyber-attack. Lately, preparing for prevention against cyber-attacks has become an essential part of a board room agendas. More companies are looking at IT security as a vital aspect of company policy and spending massively to protect themselves. Ransomware have been causing havoc in the past 2 years with more sophisticated techniques of attack. Once a system is breached the company not only loses crucial data but reputation (brand image), precious time recovering from damages and loss on ongoing business. Why your organization needs it? Determining the feasibility of particular set of attack. 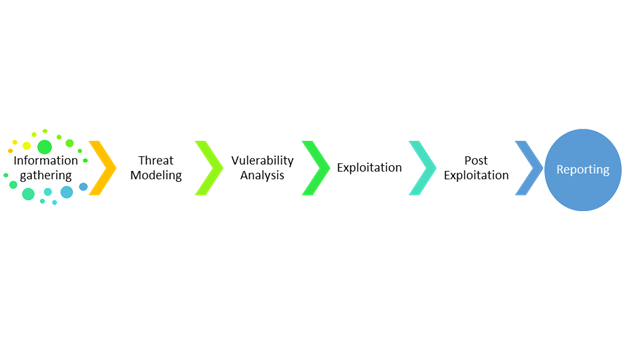 Identifying system vulnerabilities after a system has been attack by one vector. Dedicated testing to identify vulnerabilities which may not have been detected by automated security parsers. Assessing the magnitude of potential business and operational impact in case of a real attack. Testing the strength of the security measures in network, to be able to detect an attack and act accordingly. Understanding what is the scope of test is very important in this case. What is important for organization and making a very unique case for each company will give better results. Logix Infosecurity has a team of consummate testers which will help your company plan and test the IT systems capabilities to fight with a full-scale attack. Logix also has market leading cyber security tools and DLP tools which can keep your organization safe. Dangers of Crypto-Ransomware and ways companies can avoid it!